There is no way to sugarcoat it. 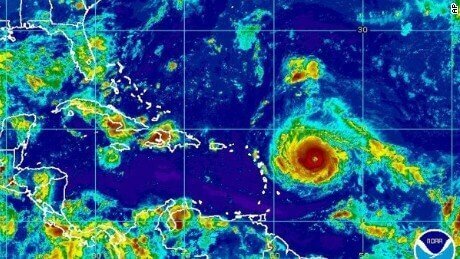 Hurricane Irma, potentially the strongest ever hurricane to be recorded in the Atlantic Ocean is outside of the Carribean Sea is now headed towards the east coast of the United States. A category 5 hurricane, Irma’s speeds have topped 185 mph. As the east coast residents prepare for what is potentially going to be a devastating landfall, residents of various Caribbean islands including the Dominican Republic and Santo Domingo are already equally bracing for its impact. So how do you prepare for hurricane Irma, especially if you are on vacation in the Caribbean? Well, here are a few useful tips. Being on top of things and knowing when the hurricane is going to make a landfall is ideally the first step towards ensuring your safety during the storm. Make use of resources and applications like the National Weather Service’s National Hurricane Center, the Weather Channel, and Hurricane App. With the Hurricane App, you will be able to track the hurricane’s latest coordinates, distance from the storm’s current location to your hotel in miles, satellite images and much more. Information is power. Know what is going and stay safe. Do not get out of your hotel room when you have been advised to stay indoors – seriously. If authorities are directing you to stay away from the beach or seek shelter, do not be rebellious. This is not the time to defy instructions or doubt the storm’s power. Sign up for alerts that will advise you when it is time to evacuate or seek shelter. Most Carribean hotels offer incentives to book at their hotel during the hurricane season. Some hotels offer room upgrades while others waiver resort fees. Even if the hotel you are currently staying in has not advertised these deals, ask the front desk to see if they have any upgrade that will help improve your experience while at the hotel. Most Caribbean resorts have designated evacuation zones to get visitors away to safety when the hurricane hits. Find out your hotel’s or resort’s evacuation zone from the reception. Knowing and locating your evacuation zone ahead of time will help you stay knowledgeable and calm in the face of the storm should there be a need for evacuation. At this point, it is not very clear whether Hurricane Irma will hit Punta Cana and Puerto Plata, and how powerful it will be. However, preparing for the worst-case scenario will give you some peace of mind in the meantime. Besides seeking shelter and getting out of harm’s way, most people tend to forget the essentials until it is too late, or when they are desperately needed. For instance, if you rented a car for your vacation, ensure it has enough gas. This way, you will avoid long queues, or in worse case, if power is cut, no gas at all. Stock up drinking water and food if you are living in a self-service hotel. In addition, take out enough money from the ATM; again, should there be a power outage, the extra cash will become more valuable than gold. Hurricanes can take anyone by surprise. This was particularly clear last week when Hurricane Harvey took Texas, and the city of Houston, by storm. And now, with Hurricane Irma already wreaking havoc in the Caribbean island, people should know how to prepare for this catastrophe – just in case it will be as destructive as experts are forecasting it to be. Keep in mind, however, that there are just tips to help you with your vacation. Since no one can control the weather, the best you can do is prepare for the unexpected. Be safe, follow instructions and seek shelter when advised to do so. Hopefully, these tips will help your dream Dominican Republic vacation from turning into a nightmare! A family vacation is meant to be enjoyable, relaxing, and rejuvenating. But sometimes, making restaurant reservations and finding child-friendly hotels can seem more like a chore than an enjoyable experience. Here are top ten tips for traveling to Punta Cana on a vacation with kids. Remember, the idea is not to make the inconveniences of traveling with kids go away (because they will not) but rather to make more space for a memorable and a hassle-free vacation. Consider planning for a slow-paced trip than you would otherwise attempt if you were traveling alone or as a couple. While there is a lot to do and see in Punta Cana, be realistic about what you will see and do while traveling with kids. Never try to fit too much into your itinerary. Remember, the less you feel you have to do and see, the more enjoyable and stress-free your vacation will be. For the most part, plan your trip based on what the youngest member of the family can handle. Before embarking on your Punta Cana and Dominican Republic vacation, hold a small meeting to discuss your ideas and interested. 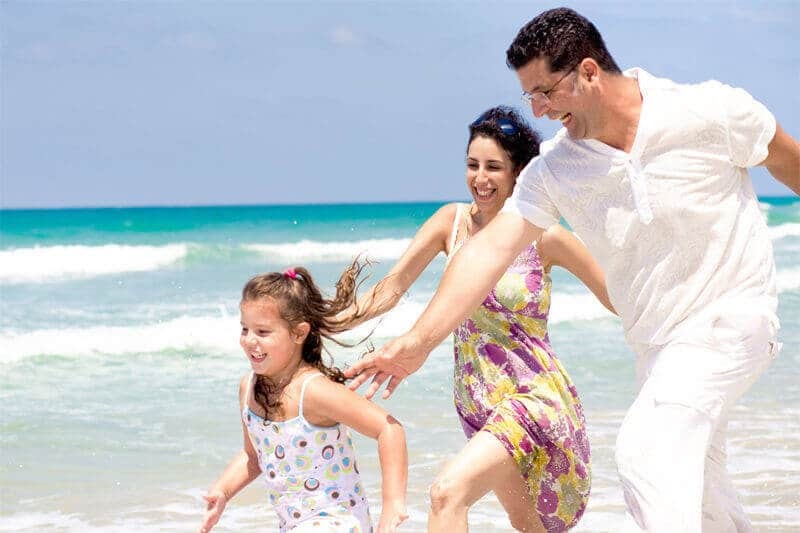 A memorable Punta Cana family vacation is one in which each family member gets to experience something they love. Talk about the budget, expectations and how you can best utilize the time, and money, available to plan an exciting family vacation. Whether you will be camping or staying in a hotel, it pays to book early. The last thing you want is the inconvenience of arriving at your destination to find you cannot get a room and have to hit move around searching for a place with a gang of tired and hungry toddlers melting down in your back seat. This might sound silly, but bringing along your own ibuprofen or Tylenol is quite important when traveling with kids. Besides knowledge of dosage, this also ensures that you have the medication on hand should an emergency arise. The last thing you want is to allow fever or fatigue to slow down your vacation experience. Basically, this should be your motto for any travel, but it is especially important if you are bringing little ones along. Kids can be quite difficult to deal with and you will be grateful that heavy luggage is not part of the stress to deal with. Most airports now have special lanes for traveling families who may need extra time or help when going through security checks. These can be quite helpful and less tiresome than having everyone stare at you while trying to get everything in line. Whether you are at home or on the go, if your kids’ routines are messed up, they will probably not be happy. During your vacation, try not to over-schedule your activities and try to leave adequate down time around jet lag, etc. As soon as you arrive at your hotel or campsite, immediately look out for potential hazards or problems for your young ones. You may want to unplug the phone so they do not make any fun calls when you turn your back for a few seconds. Located two hours south of Miami, Punta Cana is famous for its child-friendly destinations thanks to its beautiful beaches, lush tropical landscapes, and all-inclusive resorts. Whether you are looking for a relaxing Caribbean getaway or an active vacation, these travel tips will help you have a memorable and stress-free whole family vacation. When you are planning a vacation, especially if it is a faraway destination, certain questions come to mind. Is the country safe? Do you need a visa? Should you get a vaccine? These are just some of the questions you need to ask. With its beautiful beaches and wonderful weather, Punta Cana is generally a beautiful place go on vacation. However, before embarking on your Punta Cana vacation, here are five important things you need to know for a fantastic trip. When you are planning a vacation, especially if it is a faraway destination, certain questions come to mind. Is the country safe? Do you need a visa? Should you get a vaccine? These are just some of the questions you need to ask. With its beautiful beaches and wonderful weather, Punta Cana is generally a beautiful place go on vacation. However, before embarking on your Punta Cana vacation, here are five important things you need to know for a fantastic trip. 1. Is the Dominican Republic safe? Before planning your vacation to any Latin American country, be sure to ask yourself if the country is safe to visit. The Dominican Republic is, generally, a safe country for tourists. The Dominican Republic is ranked 76th on the list of the world’s safest countries. Dominican people too are quite friendly and most visitors traveled unharmed. However, do not let negligence ruin your vacation. Always stay alert and travel with tour guides when visiting remote areas of the country. Yes, you do need a visa when visiting the Dominican Republic. It is called a Tourist Card and it is an entry fee charged by the government to individuals visiting the country for tourism purposes only. You can apply for this visa online or at the airport upon arrival. It costs USD 10. You are also required to present a valid passport when entering the Dominican Republic. You can stay in the country without a fee for 30 days. However, you will be required to pay a fee should stay in the country longer than 30 days. 3. Should you get a vaccine before visiting the Dominican Republic? Well, this depends. If you are adventurous and want to try out local street foods, consider getting a vaccine. You can contract hepatitis A or typhoid through contaminated water or food in the Dominican Republic. Besides, CDC recommends this vaccine for travelers, especially if you are going to stay with friends and relatives, or if you are going to visit rural areas. 4. How do you organize your money? The Dominican Republic’s official currency is the Dominican peso. You may bring your dollars or euros and change them to the local currency at the airport. However, most places accept US Dollars. Just be sure to carry smaller denominations. On the issue of credit cards, it is important that you inform your bank or credit card company about transactions in DR. That said, nearly every place in Punta Cana accepts credit card payment. 5. What about night life in the Dominican Republic? You have probably heard the phrase, “party like the Caribbean.” If you are yet to, it is time to discover its origin and meaning. Dominicans love to party and this is quite evident when you go out in Punta Cana. People are always happy and positive, and there are many party nightlife destinations to choose from. From little pubs and bars to big clubs and discotheques, Punta Cana nightlife has something for everyone. 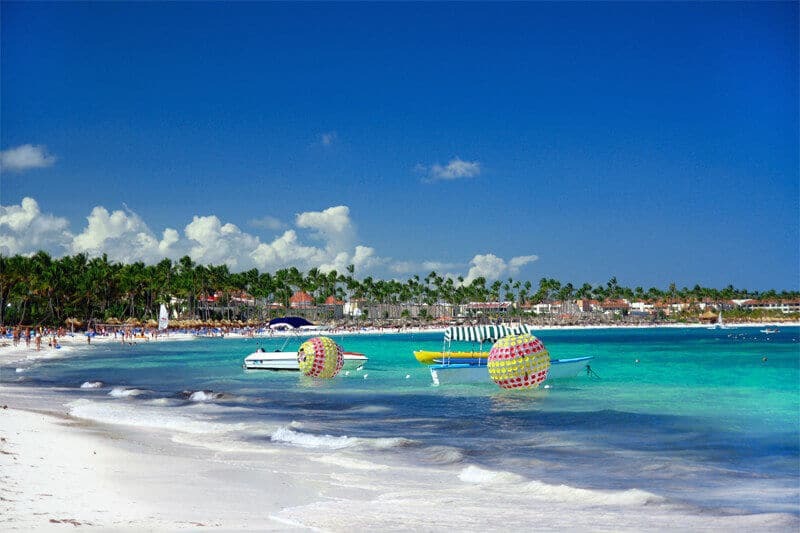 Located in the Dominican Republic, Punta Cana is a popular destination for vacationers hoping to relax and enjoy white sandy beaches and crystal-clear waters of the Atlantic Ocean. 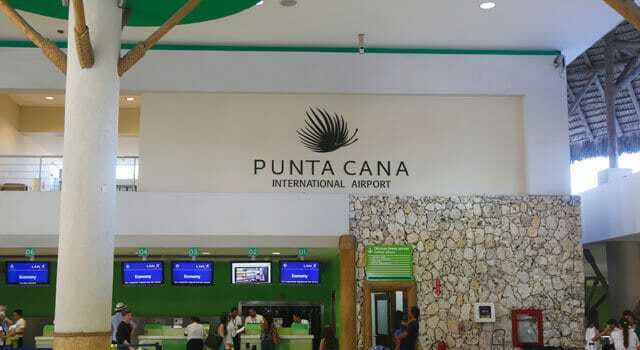 However, there are things to know about Punta Cana before hopping on to that plane for your vacation. In the Dominican Republic, your tourist card allows you to enter the country for up to 30 days as a tourist. There are several ways to obtain the document. If you do not already have one upon landing in the Dominican Republic it is easy to get one at the airport upon entering customs and immigration. Along with the card, make sure to leave two blank pages in your passport – you will need these to visit the Dominican Republic. Your tourist card will cost $10 USD. There is $20 USD departure tax as well but that is usually included in your airfare, while the tourist card may not be. This is because some countries and citizens are exempt from requiring a card to enter the country. If you wish to visit the lovely Punta Cana or Santo Domingo, you will likely need a Tourist Card. If the holder of the card violates the permitted use by engaging in business or other non-tourism activities, the card can be revoked. The National Migration Authorities will immediately expel cardholders from the country. Other Visas for non-tourist purposes are available, but for tourism, you will want the Tourist Card. Keep it with your passport and other important information during your stay. The Tourist Card may be obtained through the immigration and customs desk at the international airport. You can also get it at land and sea ports into the country. Tour operation companies may sell the Tourist Card, and you can even purchase it online through the government website. Purchasing online may save you some time when going through immigration and will ensure that you have the Tourist Card when you need it. 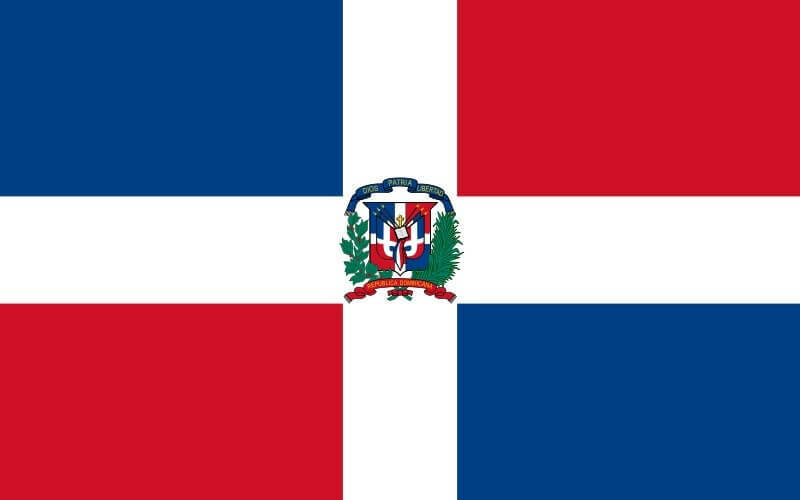 Dominican Embassies and Consulate offices overseas can also provide you with the Tourist Card. The card will be valid for a year from the purchase date, so you can buy it as soon as you have confirmed your travel plans and use it when you get to your destination. 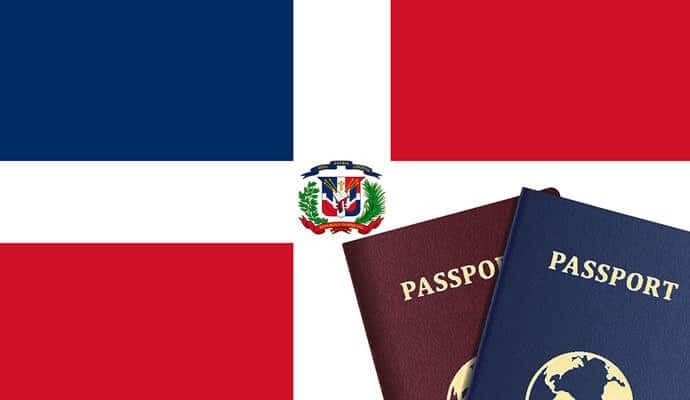 Citizens and residents of the Dominican Republic are exempt as are Visa holders. Those arriving from Chile, Argentina, Ecuador, South Korea, Japan, Israel, Peru, and Uruguay are also exempt. Diplomatic and Consular staff with missions in the country, private plane passengers of non-commercial aircraft are exempt in some cases when the trip is for leisure and the aircraft weighs under 30,000 pounds and has a 12 passenger or less capacity. Haitian nationals who have a card validating entry and exit of the country on the same day are exempt. Full information about requirements can be found via the government website. There is no shortage of Punta Cana tours and excursions to occupy your time when you visit this beautiful Caribbean destination. Be sure to see Saona Island which is the #1 tour when you visit Punta Cana. Samana Visit by Plane: three different excursions in Punta Cana in one! 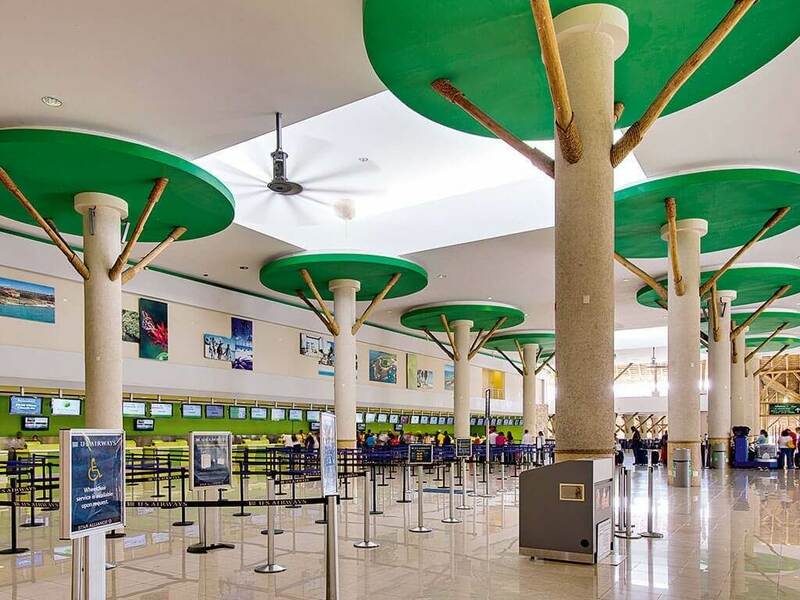 The Punta Cana Airport handles 60% of all flights into and within the Dominican Republic. For years, if a person was physically disabled it meant they would be left indoors either with a helper or alone taking care of themselves s when the other family members go out. However, with technological advancement things have changed because walkers for disabled people have made it easier for physically handicapped members of the family to join the others in experiencing the outdoor fun of the world. Walkers for disabled people are motorized scooters equivalent to wheelchairs but powered by gasoline or rechargeable batteries that aid the handicapped people to move. The scooters come in two major models, the three-wheel, and the four-wheel models. The scooters have features such as a sitting area, handlebars, and footplates for the feet. Mobility scooters for rent eliminate the need to use manual strength in an unpowered wheelchair because it has a steering mechanism that makes movement effortless when you remain in an upright posture. Planning vacations for handicapped adults in the Dominican Republic are now stress-free because the electric scooters for rent ensure the disable people leave their wheelchairs at home and use the rented scooters for free movement when in Punta Cana. The motorized scooter rentals give the disabled people a perfect chance to visit Dreams Punta Cana, Dreams Palm Beach, Bavaro, Hard Rock Hotel, Melia Caribe Tropical, Paradisus Palma Real, Grand Palladium Turquesa, Bahia Principe, Majestic Colonial and Majestic Elegance among others places in the Dominican Republic and experience its uniqueness. Mobility scooters Punta Cana offers a broad range of motorized scooter rentals that meet the needs of different physical disabilities. A mobility scooter has a seat over the rear two wheels, handlebars on the front used to turn one or two wheels and a flat area where you place your feet. The electric scooters for rent seats have a swivel to allow easy access when the handlebars block the front part. Long-lasting rechargeable batteries power our motorized scooter rental equipment. The mobility scooters for rent provide significant benefits to people with movement difficulties who visit Paradisus Palma Real, Majestic Elegance, Majestic Colonial, Grand Palladium Turquesa and Bahia Principe, all which attract thousands of tourists from throughout the world annually. Whether you are planning a wedding, party, vacation or just family trip, these scooters are the most helpful to persons with either systematic or whole body conditions but can still stand, walk few steps, can control steering tiller and sit upright without torso support. The scooters provided by Mobility Scooters Punta Cana are well maintained and offer value for money when you hire. Our Scooters are good for physically disabled people because they offer balance and greater stability with a wide support base. 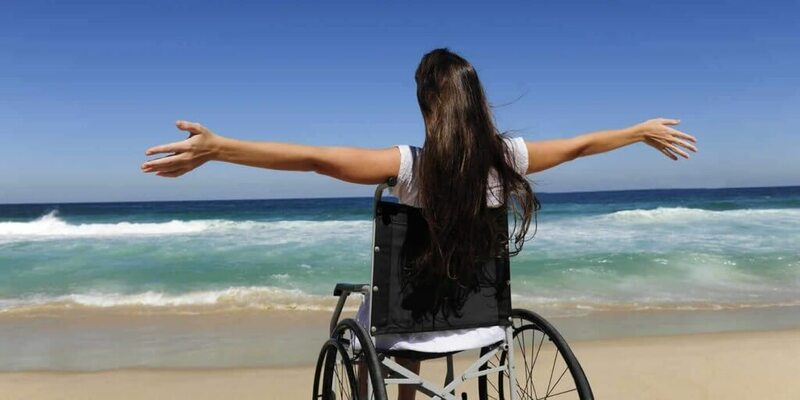 During vacations, some families might feel that disabled people are a burden and they should not be carried along for long distance vacations. Carry everyone at home, because our mobility scooters rentals cater for the mobility needs of disabled people when you are visiting Bavaro, Hard Rock Hotel, Melia Caribe Tropical, Dreams Palm Beach and Dreams Punta Cana without them being a burden during the vacation. With the scooters, the physically disabled members can easily access hotels, beaches, shopping malls and just everywhere in Punta Cana. The equipment helps maintain an upright body posture for the handicapped people as they move and view the uniqueness that the Dominican Republic has to offer. If you have never used the scooters before, we will provide guidance on how to use the equipment until the time you can personally operate it with ease during movement. Depending on your physical disability, your budget or the reason you need the scooters. You can hire either the three-wheeled scooters that are easily maneuverable or the four-wheeled models that are less maneuverable. The three wheel scooters are good for indoor movement, and short distance outdoor movements. When the scooter is moving, you can easily stop it using the brakes. Our scooters for hire are well maintained and are regularly inspected to ensure they are always in good condition for our customers. The four-wheel scooters have larger wheels or swiveling castors to facilitate outdoor travel. When using the four-wheel model ensure you adjust the frame to the correct height that makes you comfortable. Although some models have a fixed height, they come with standard height for utmost comfort. Choosing the right scooter for your loved one or yourself can be confusing because of the many varied types of equipment to choose from. The only way you will enjoy your vacation in the Dominican Republic is when you are comfortable in your means of transport. When deciding on the scooter to use you should put the focus on your ability to use the machine easily. Scooters are fitted with seats, and some are equipped with baskets so that in your movement you can easily carry or pick what you need along the way as you put it in the basket. You should also check if you could handle and control the wheels and brakes effectively. When choosing a mobility scooter comfort is key. Most scooters have adjustable heights while others have fixed heights. It is wise to choose a scooter that matches your size. Besides, there are times you might need to pick something in a shopping mall or having to maneuver uneven surfaces, and comfortable height will ensure you do this with lots of ease. If you find yourself getting tired easily when using a scooter, you can request for a replacement anytime.